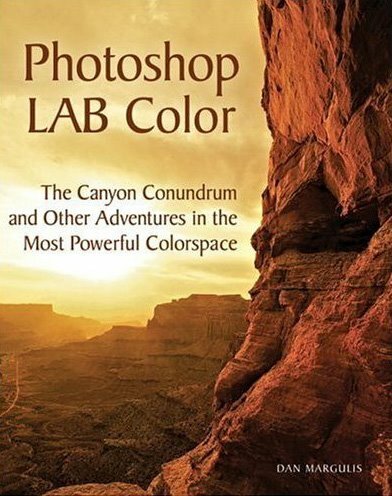 Following my silly post below making fun of some of the many books on the Photoshop and digital photography shelves at Barnes and Noble, a commenter named Dan asked, "So, what are some Photoshop books that you do recommend?" Erk. I was afraid somebody was going to ask that. 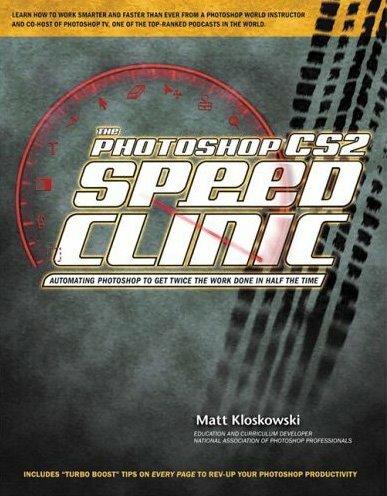 I find Photoshop books nearly impossible to review. First of all, I'm a P'shop user myself, and so I'm at a certain place on the learning curve. Naturally, things that I haven't learned yet but am ready to learn tend to pop off the page at me, while re-reading things I already know make my eyes glaze over and my brain turn to mush. Which things are going to pop for you and make you mush-brained are likely to be different than they are for me. Second, it depends on what you want to do with Photoshop. I'm just a photographer. I just want to take pictures. 1. 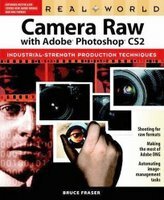 Real World Camera Raw with Adobe Photoshop CS2, by Bruce Fraser. (The title is perilously cluttered: the operative words are "Camera Raw.") As Jeff Schewe is famously alleged to have said, "Photoshop is now a plugin for ACR (Adobe Camera Raw)." The key to raw is that it makes shooting a lot easier. You basically have two choices: you can shoot first and then make all your processing decisions at your leisure later on when you have time, using much more powerful and capable software; or, you can hurriedly make your critical processing decisions in advance of each shot and then let the inferior software inside the camera do the processing right then and there. D'OH! This isn't rocket science—it's just common sense. Do it the easy way: shoot raw, process later. If you shoot JPEGs with a digicam, hey, power to you, but then you probably haven't spent the scratch to get Photoshop or a DSLR and you probably don't care whether your pictures are a) as good as they can be or b) close enough. Choose the former. It ain't that hard. 2. 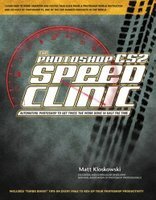 The Photoshop CS2 Speed Clinic, by Matt Kloskowski. I used to threaten that I was going to write a one-sentence Photoshop book. It was going to go like this: "Mess around with the picture until you get it to look right." That's pretty much how I use Photoshop. But let's be real: in life, efficiency, speed, and organization count. This is the book to teach you how to create actions, batch process, and manage and speed up your workflow to get more work done in less time. Who exactly needs to spend more time at the computer? 3. The DAM Book, by Peter Krogh. 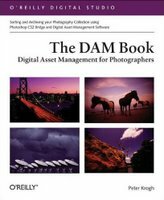 DAM stands for digital asset management, and it's a fancy way of saying "organize your pictures." It's important, too. One of my favorite photographer stories was told by Arnold Crane, who went to Walker Evans' house late in Evans' life to photograph him. The ever-immaculate Evans, a dapper dresser and fastidious in all things, had a house that was not only neat as a pin but arranged like a Japanese rock garden, with everything in exquisite arrangement. Except, Arnold reported, the corner of his office where he kept all his prints and negatives. That was a mess. I do know photographers who really are organized, but they're the exceptions. It's easier in digital...so they say. Do yourself a favor and start being as organized as you can as soon as you can. 4. 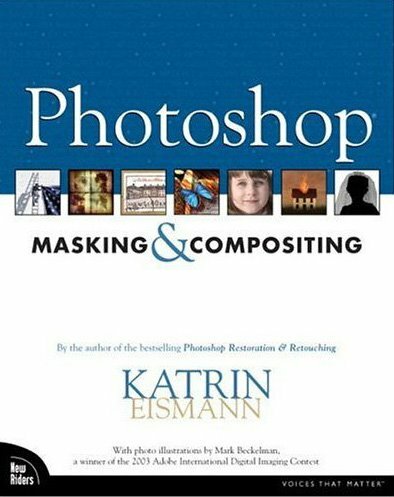 Photoshop Masking and Compositing, by Katrin Eismann. Teaches you how to master the hardest things to do (IMHO, anyway) in Photoshop. I'm still laboring. 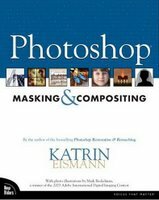 Katrin Eismann is one of the best writers around on digital imaging. 5. 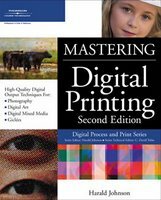 Mastering Digital Printing, by Harald Johnson. Strong on theory and background, weak on pratical how-to in terms of setting up and prepping your own files for your own printer, but for a very good reason: everybody has a different printer/driver/profile/paper. You know what they saw: Oh well. This book will give you a good, strong, solid head start, and then you will have to forge on into the wilds of the internet and figure out your own exact settings on your own. 6. 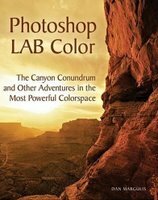 Photoshop LAB Color: The Canyon Conundrum and Other Adventures in the Most Powerful Colorspace, by Dan Margulis. My brother and I have a thing we called The Pinker Rule. It derives from a book by Stephen Pinker called The Language Instinct. He recommended it to me when he'd read about a quarter of the way into it, and I started reading it too; and, after much pain, we both independently determined that about the first third of the book was great and the rest of it was difficult to read, dang near useless, and even a tad...well, nutty. Thus, the Pinker Rule: you're not allowed to recommend a book until you've finished it. It's a good rule. I often get into trouble when I violate it. I'm violating it here; I haven't read this book. However, based on the subject and the author, I'm guessing that it's going to be interesting. Ever seen those salt blocks they used to set out as deer licks? Take this recommendation with one of those. You have been warned. Forget at your peril Martin Evening's Photoshop for Photographers. I agree with Eric that Martin Evening's book ought to be on the list. It's a beautifully designed and very useful reference. I also suggest that Scott Kelby's Photoshop Book for Digital Photographers ought to be there, too. It's a very smartly designed book of problem-oriented recipes, not in its nth printing. In my opinion (and experience) it's a more effective teaching tool than most of the other PS books, which tend to be organized according to buttons and features. Imagine if cookbooks were organized like PS books. One chapter on water, another on flour, another on the origins and dangers of heat. While I'm ranting I'll note my other personal bugaboo with all of these books; their bindings. Why do we always have to wrestle them into page-by-page cooperation while we use them? Why can't they be ring-bound or at least spirally bound to lie flat? OK, I know the probable answer (too easy to photocopy) but I can't help thinking that offering a more open binding format would not also offer subscription update possibilities. New mindless slogan: We Support OpenBinding! Margulis' LAB book is hard to get through, but it is groundbreaking. Not groundbreaking as in the material didn't exist - it's more that Margulis finally went past the empirical knowledge and explained why. Excellent list of books. For those interested in color management and inkjet printing at home, for more advanced users I would add Barry Haynes' Photoshop CS2 Artistry and for those new to color management, Tim Grey's Color Confidence. Thanks for the recommendations. Every time I browse the Photoshop isle (it feels like there's an entire isle of choices anyway), I wind up disgusted, overwhelmed, and no closer to working through my Photoshop issues than before. I'm looking forward to your thoughts on the new ZF & ZM lenses! I second the Scott Kelby nomination. His book is the one that has been the most helpful to me. I still refer to it regularly, while many of the others gather dust on my shelf. The first four books (and the Scott Kelby book) are found on O'Reilly's Safari site (http://safari.oreilly.com). If you total up the Amazon price for those five books, it comes to $130, which will pay for a year's subscription for a five-book bookshelf, with some change left over. I'm not associated with Safari in any way (I don't even get a kick-back for recommending it). I'm just a really satisfied customer, who has found a way to satisfy their technical book habit, without all the expense, weight, and space requirements.